With a spring 2018 release date, Ubuntu 18.04 LTS “Bionic Beaver” brings a new set of features to Linux computing. You might be unsure about whether to update. Well, here are several reasons why you should upgrade Ubuntu to version 18.04 on your current Linux PC or laptop. Scheduled for release in April 2018, Ubuntu 18.04 (codenamed “Bionic Beaver”) is an important version of the popular Linux OS. Every two years an LTS release is made, and Ubuntu 18.04 is the first since 2016. Long Term Support releases have five years of support from Ubuntu’s developers, Canonical. This means you can use Ubuntu 18.04 LTS with support until 2023. A note about the naming convention: Ubuntu 18.04 is so-called because it’s released in the fourth month of 2018. We can expect a non-LTS iteration late in 2018, known as 18.10. Every year, Ubuntu’s six-monthly cycle releases in April and October. So, why should you upgrade to Ubuntu 18.04? Let’s dive into the reasons. First and foremost, you should upgrade your current Ubuntu version regularly in order to benefit from the latest security patches. These might be for the operating system, drivers, or even (in the case of the Meltdown and Spectre bugs) the underlying hardware. It’s worth pointing out here that this is true of all operating systems, whether Linux-based, Windows, or macOS. Regular updates will improve your computer’s security. This is why Windows XP users are regularly encouraged to upgrade or switch to Linux. However, there is a potential security concern that you should be aware of. With Ubuntu 18.04 LTS, Canonical intends to collect data from your computer. As explained previously, there is nothing personally identifiable in this data. Instead, it is to establish your computer’s hardware components, what version of Ubuntu you’re running, your location (based on your choice when setting up Ubuntu) and a few other things. This marks a change from Canonical’s previous attitude to this sort of data collection, but is understandable given how flakey figures are for Linux usage around the world. Crucially, this data collection can be opted out of; if you’re upgrading from a previous version of Ubuntu, meanwhile, you can also opt in. Perhaps the biggest news of the LTS release is GNOME 3.28. Since GNOME replaced Unity in Ubuntu 17.10 (although Unity isn’t quite dead) GNOME has been the default desktop environment (pictured above on Artful Aardvark). Of course, you don’t have to go with GNOME. Other Ubuntu desktop environments are available, such as MATE. GNOME on Ubuntu 18.04 LTS marks the first appearance of the new Unity-esque customized GNOME 3.0 desktop on a long-term support release. And it’s a great reason to upgrade Ubuntu to version 18.04. Despite hopes to the contrary (and a dedicated community project), Ubuntu 18.04 will not boast a fresh new look. 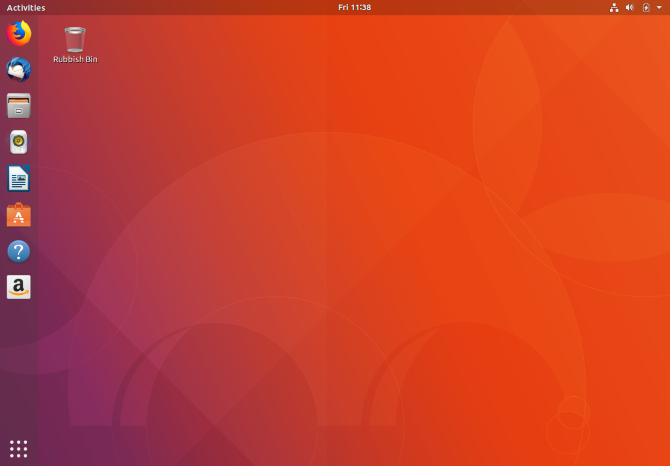 However, while the Ambiance theme is hanging around (despite looking a bit tired), new icons are expected in Ubuntu. Open source icon project Suru has been incorporated into Ubuntu 18.04. These icons were originally seen in the abandoned Ubuntu Touch mobile operating system (now under the control of UBPorts.com). Sick of Ubuntu leaving you with embarrassing black and white emojis? Upgrade Ubuntu to 18.04 LTS, and your embarrassment is a thing of the past, thanks to full color emojis! You’re stoked, right? I can tell. Although some tweaks will give you color emojis on versions of Ubuntu prior to 18.04 LTS, this is the first time they’ve been included by default. 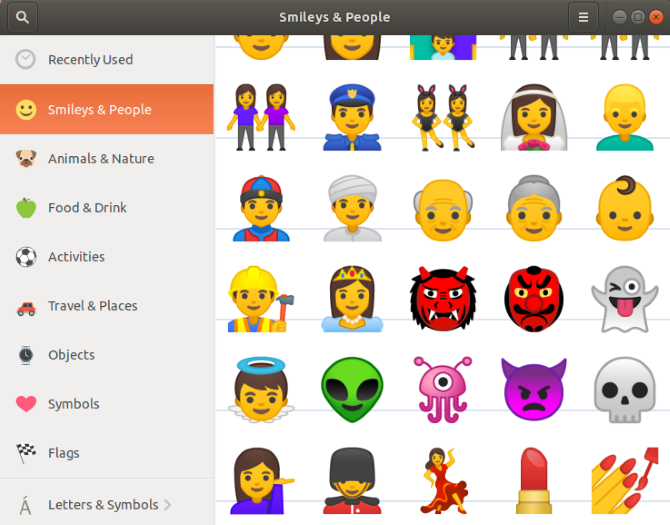 The emojis you’ll find in Ubuntu 18.04 LTS are the same open source emojis as found on Android. For many users, then, these will be familiar. Sitting at the heart of every Linux-based operating system is the kernel. This is basically the component of the operating system that talks to the hardware (here’s a more in-depth explanation). Ubuntu 18.04 LTS was initially expected to include Linux Kernel v4.14, and while this still may be the case, there is also a good chance that the 4.15 Kernel might appear instead. Also worth your time on the Ubuntu 18.04 LTS is the collection of community sourced features and apps. Announced in April 2017, the call for suggestions has resulted in improved support for NVIDIA GPUs, touchpad gesture support and BlueZ implementation for improved Bluetooth functionality. But it doesn’t end there. Apps were also suggested, with some obvious choices such as Mozilla Firefox and LibreOffice, while Kdenlive and GNOME Calendar are also in the list. These tools will not be available in the operating system by default, however. Rather, you’ll have the option to install them as you install Ubuntu. Over the past couple of years, Ubuntu has had a tough time, with the withdrawal of its mobile variant, and the end of Unity. One of the biggest sticking points was the switch to the Wayland display server in Ubuntu 17.10. While it continues to be earmarked as the display server of the future, the lack of app support for Wayland resulted in users switching back to Xorg. As a result, Ubuntu 18.04 LTS comes with Xorg restored as the default display server. 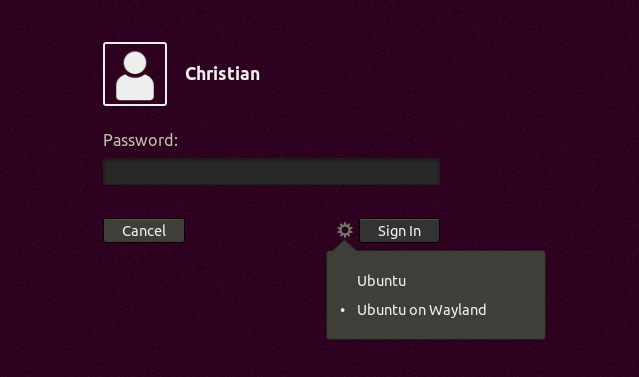 However, it’s simple enough to switch back to Wayland, via a cog icon on the login screen.